Hugh Griffiths, head of Countering Illicit Trafficking-Mechanism Assessment Projects at the Stockholm International Peace Research Institute, says what’s unique about those changes is their pace and scale. Normally a ship’s name or flag changes when its owner sells it after a decade or so. The Parmis and Valili operate under the flag not of Iran but of Barbados and Malta, respectively. On paper they are no longer part of IRISL, having both changed owners, operators and flag in the past couple of years. But a unique seven-figure “IMO number” issued to each known ship in the world for its entire lifespan reveals the identity of each ship as a sanctioned vessel ultimately owned by the Iranian cargo line. The brightly painted IRISL containers sitting on the ships’ decks add to the impression that the ships are still Iranian. “They certainly don’t work too hard to disguise themselves here,” said the owner of a tanker management company in Singapore. The Iranian government has a knack for survival. Sanctions may be hurting ordinary Iranians – grain ships to the Islamic republic have been diverted as Tehran struggled to find credit to finance its food supplies – but Tehran often figures out a way around such blockages. When the Singapore checkpoint light turned green earlier this month, the truck driver turned onto an expressway and headed towards the crossing to Malaysia. Just shy of the border he turned into an industrial estate. Within 10 minutes another three trucks with IRISL containers had arrived. In every port a ship visits, it needs someone on the ground to sort out its paperwork and organize its cargo. In Singapore that used to be done for Iranian vessels by IRISL’s regional office, Asia Marine Network, which was placed under financial sanctions by the United States in 2008. A June 2011 indictment by the Manhattan District Attorney, Cyrus Vance, alleges that IRISL’s Singapore head, Alireza Ghezelayagh, and Singaporean businessman Cheong Kheng Guan tried to get round those sanctions, in particular a ban on any U.S. dollar transfers by IRISL. The indictment says that one of Cheong’s eight shipping agencies in Singapore, Sinose Maritime, entered into a joint venture with Iran’s Asia Marine Network. Sinose Maritime then became the exclusive agent for IRISL in the city-state, the indictment says. Cheong and Ghezelayagh also established a new company, Leading Maritime, just eight days after Asia Marine was placed under sanctions. The Manhattan DA’s office, which declined to comment because its investigations are continuing, alleges that bank records it has obtained show that two of the Singapore companies, Sinose and Leading Maritime, channeled a total of around $41.8 million through the American financial system on behalf of IRISL. The money moved in 120 different wire payments that the DA’s office claims went via the New York branches of HSBC, Bank of New York Mellon, Standard Chartered and Deutsche Bank, causing them to inadvertently breach their sanction obligations. None of those banks were said to have any knowledge of the IRISL connection and none have been charged by the DA’s office. After Cheong’s indictment last June, he stood down as a director and shareholder from eight of the 10 companies he was listed as holding, according to the Singapore Accounting and Corporate Regulatory Authority registry. But his companies and employees remained active, and there is evidence to indicate that not all ties to IRISL were severed. One of Cheong’s former companies, Global Maritime Investments, is listed as the manager of a newly built ship called the Adelina. Commissioned by IRISL and completed in 2010, the Adelina, a container ship, obtained a Singapore flag last December. But Thomson Reuters-owned due-diligence database Accelus lists the “Group Beneficial Owner” of Adelina as Iran Shipping Lines. The latest data from ship consultancy Alphaliner also shows the Adelina is still operated by IRISL. The Adelina last left Singapore on January 18. Reuters tracked the ship as it steamed up the Red Sea, through the Suez Canal and the Aegean Sea. After stopping at Istanbul it sailed to the Russian port of Novorossiysk on the Black Sea where it moored yesterday. The day before Cheong stepped down last June, Global Maritime got a new director: Danny Yau, also the director of a further six companies owned or directed by Cheong. As well as now running Global Maritime, Yau has set up a new shipping agency, Hardsea Agencies Pte Ltd. Sitting in his new office overlooking Singapore’s Tanjog Pagar port, Yau said Hardsea is a simple shipping agency, unattached to IRISL. Yau declined to elaborate when contacted later about Global Maritime Investments and the Adelina’s links to IRISL. “I don’t say anything; it’s too much politics,” he said. Another of Cheong’s employees at Sinose Maritime, Ling Chong Yung, is listed as the director of Adelina’s official owner, Pride Shipping Oriental Pte. Reuters visited Ling at the offices of Damilang Maritime, a newly established shipping agency two streets away from Yau’s new office. Office staff said Ling had left for China on a business trip the day before, but all inquiries related to Pride Shipping had to go through Yau at Hardsea Agencies, who they referred to as “the boss”. Cheong, meanwhile, is still at work in the shipping business. Visited at a drab office block on an industrial estate in the Buona Vista area of Singapore, Cheong declined to speak. He later responded to questions via email. He said none of the companies he is involved in do any work on behalf of IRISL. Sinose Maritime, he said, is in the course of being liquidated. “In so far as the indictment against me is concerned, it is entirely unjustified. I have instructed solicitors in the U.S. to defend the case vigorously and to defeat the charges which are totally without any foundation,” he said. Not everyone agrees with Washington’s claims that IRISL is still in charge of ships that visit Singapore. When Singapore’s High Court Sheriff seized three IRISL ships in September 2010 for failing to meet their credit arrangements, the court considered whether Singapore should, under UN sanctions, continue to hold the ships even after the payments were made. The city-state is clear on its attitude to sanctions: it will implement those agreed on by the United Nations, but will not take any unilateral action or subscribe to those issued unilaterally by the United States or European Union. But the judge in the 2010 case, Justice Quentin Loh, decided that the UN sanctions target specific IRISL entities such as IRISL Benelux, and not the three companies listed as the owners of the ships. He also ruled that even if UN sanctions did apply, they did not imply that commercial assets such as ships should be seized. 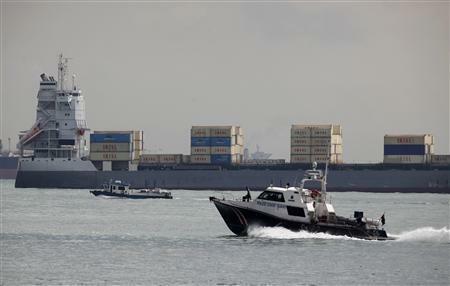 Singapore released the vessels. Reuters Freight Fundamentals shows that Singapore has received at least 150 visits by 83 ships believed to be IRISL-linked over the past two years. U.S. diplomatic sources privately say that they wish Singapore would take a harder line. And it’s not just Singapore. Twenty three sanctioned Iranian ships have visited 12 EU ports since July 2010, when the EU imposed its own first sanctions on IRISL, including 96 stop-offs in Malta, 14 visits to Antwerp and 10 to Rotterdam. As well, 48 Iran-linked ships sail under the flag of Malta and 12 under that of Cyprus. In the Mediterranean island of Malta, authorities say trade with Iran has been declining steeply, with exports down to 144,996 euros ($191,000) in 2010 from more than 2 million euros in 2008 and 2009. Joseph Cole, the chairman of the Maltese sanctions monitoring board, said a contract between IRISL and Malta Freeport will not expire until November 2013, but an intensive program of customs inspections had already driven the shipping line away. “We have made it so difficult for IRISL ships that they have reduced their operation to Malta to almost nil – even though technically they can still come,” said Cole. Movement data for IRISL’s fleet, however, show that 18 ships have visited Malta’s Freeport over the last two years, three of them as recently as November. IRISL containers could be seen stacked on the concrete yards of the Freeport last week. Despite being a member of the European Union, Malta not only supplies flagging services to IRISL ships, but is also home to 24 shell companies that help conceal Iran’s ownership of vessels. In the Grand Harbour of Malta, below the sandstone ramparts of the capital Valletta, a grey-painted building houses Transport Malta. The agency earns around 300,000 euros annually from registering IRISL ships, according to an estimate by Reuters based on a table of tariffs on the agency’s website. It declined to comment, citing commercial sensitivity. 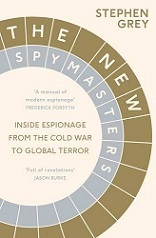 It is also home to the country’s public shipping register where – recorded in longhand in large paper volumes – is the paper trail of Iran’s shell games, as well as evidence of those who have worked for the country. As sanctions have tightened, the Maltese register shows, Iran’s ships have regularly switched not just flags, but names, registered owners, registered agents, and the addresses of owners and agents. The Alva, for instance, a 66,500-deadweight tonnes (DWT) container vessel, has had three different owners since it was built in Germany in 2008 and acquired by IRISL that year. It originally flew a German flag. IRISL switched that to a Maltese flag, then back to a German one in 2010, then again to Maltese last year. Most Maltese lawyers and agents now refuse to act for IRISL. Not only are new commercial contracts with the Iranian line banned under EU sanctions, existing ties have been scrapped by most agents to avoid damage to their reputation, according to two Maltese lawyers. That has pushed most business into the hands of a small Maltese outfit, the Royal-Med Shipping Agency, which has an office on the sea front in the tourist resort of Sliema. The agency is now under direct U.S. sanctions as an alleged cover operation for IRISL. The employee, who declined to give his name, said Royal-Med had previously acted as agents at the Freeport for IRISL and then for HDS Lines, a company named by the U.S. government and the EU as a subsidiary of IRISL. He said HDS had decided to end visits to the island last November, leaving Royal-Med with no business. Dr Tonio Borg, Malta’s foreign minister, says IRISL has such a large Maltese fleet because the country has such a large shipping register. Malta’s role as Europe’s biggest registry was not the result of lax regulation. “We see it as a flag of confidence, not of convenience,” he said. Asked about Malta’s connections to IRISL, he revealed that Malta was prepared to de-register Iran’s entire sanctioned fleet. “We’re moving in that direction,” he said. But Iran should not be allowed simply to relocate its ships to other European countries, he said.